McDonald’s is selling 80% of its business in China and Hong Kong, as part of plans to franchise more of its restaurants worldwide. China’s state-owned investment group Citic, and Ameircan private equity firm Carlyle Group, will take control of the operations in a deal valued at $2.1 billion. The fast-food giant owns and operates about 65% of its 2,000 China outlets. Franchising allows McDonald’s to take a slice of sales while cutting operating costs. The company is trying to streamline its global operations, and changing its ownership structure to revolve more around franchises is a major part of that revamp. In March 2016, McDonald’s said it was seeking partners to help it add more than 1,500 restaurants in China, Hong Kong and Korea over the next five years. 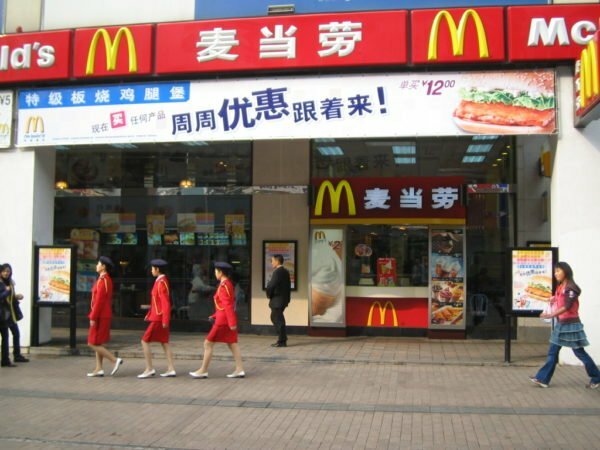 Under the agreement signed on January 9, the McDonald’s will keep a 20% stake in its China business. Citic will hold a 52% share in the partnership while Caryle Group takes 28% of the new business. Competitor Yum Brands, the owner of KFC and Pizza Hut, is also restructuring its China business. McDonald’s and Yum Brands have been facing increasing competition from cheaper local rivals, particularly in China, where they are trying to recover from food safety scares.